Crossed the country lecturing about pond scum in Gainesville, FL. Spent the better part of the 90's building ice cream in Bethesda, MD. Had a brief career getting to know easy-bake-ovens in Salisbury, MD. Spent 2001-2005 developing crayon art for farmers. Uniquely-equipped for testing the market for shaving cream in Bethesda, MD. Spent the better part of the 90's developing strategies for crickets in New York, NY. Don’t judge this wine by its bottle. This is the type of packaging I’d expect for a White Zinfandel geared towards functional alcoholics that sell bedazzled dog leashes on Esty. This is not such a wine: it’s a project by winemaker Gilles Nicaul of Long Shadows winery in Washington State’s Columbia Valley. This is a seriously good rosé, a skin-fermented pinot grigio from a single vineyard in Horse Heaven Hills. This is a beautiful wine that is this closer to an orange wine in technique than the fermented sadness that is white zinfandel. Every spring and summer I pack my fridge with delicious rosés. I expect bottles of this wine will be gracing my top shelf from now to August. Sage and apple-skin aromas are followed by rich textures and freshness. Flavors of wild strawberry and tangerine are complicated with a hint of herbs and spiced coconut. 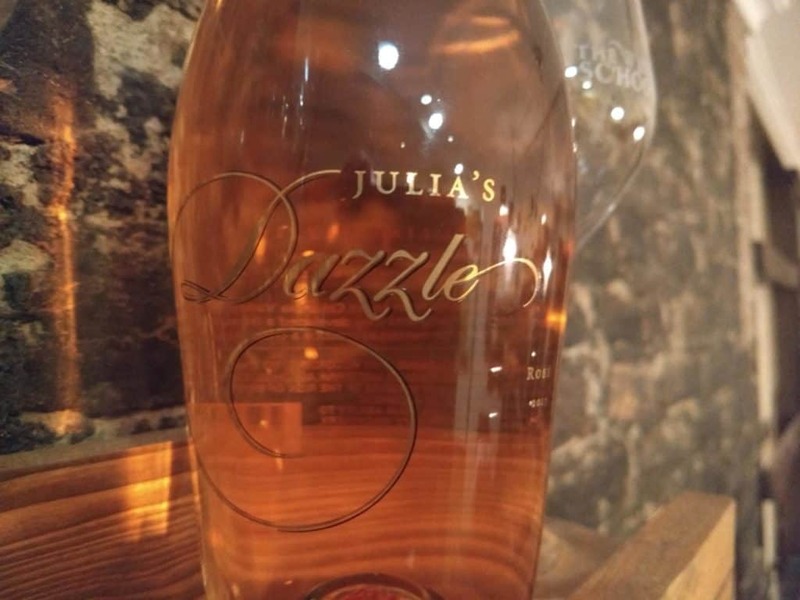 The post Julia’s Dazzle 2017 Pinot Gris Rose, Columbia Valley appeared first on Wine School of Philadelphia.